Feb 11 (AZINS) Disney released a new trailer for their upcoming live-action remake of its classic animated movie 'Aladdin' on February 10 and fans do not seem too impressed by the modern day genie played by Will Smith. Directed by Guy Ritchie and also starring Mena Massoud as Aladdin and Naomi Scott as Jasmine, 'Aladdin' trailer has met with some really harsh and strong reactions. 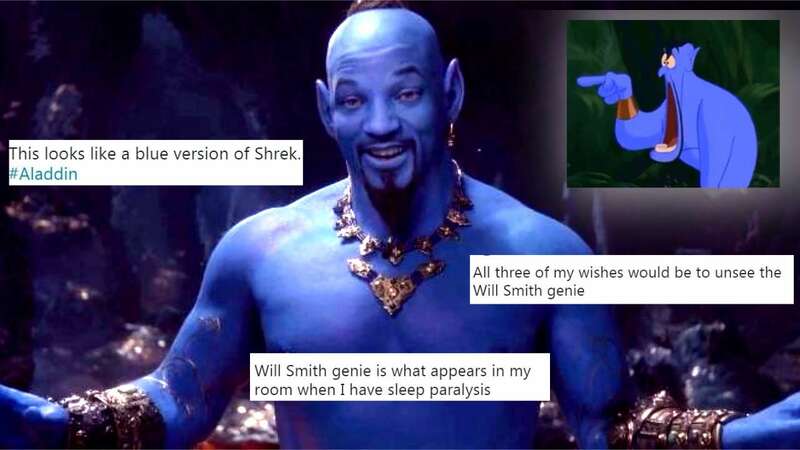 "It turns out that Will Smith's Aladdin Genie will haunt my nightmares," tweeted one user. Another added: "I'll never sleep again and it's all Will Smith's fault." Within less than 24 hours, the trailer sure has garnered over 2.1 Million views but it has also amassed some 20 thousand dislikes, perhaps a first for a Disney film. People are not just calling out the bad CGI but also questioning Disney's casting of Will Smith as the iconic blue Genie. Earlier while speaking to Entertainment Weekly about the role, which was originally performed by the late Robin Williams, Smith had said, "There’s a little bit less mimicking — there’s a James Brown piece that we do but a little bit less mimicking. The thing that will be the major addition from me playing the Genie is the hip-hop base. I think that’ll be fun for people. I think it’ll stand out as unique even in the Disney world. There hasn’t been a lot of that hip-hop flavor in Disney history!" If the reaction on the internet is any indication, Disney might want to rework the animation for Will Smith's 'Genie' before it hits theatres on May 24!